The General Mills Corporation introduced CheeriOats in 1941 as the first ready-to-eat oat cereal. 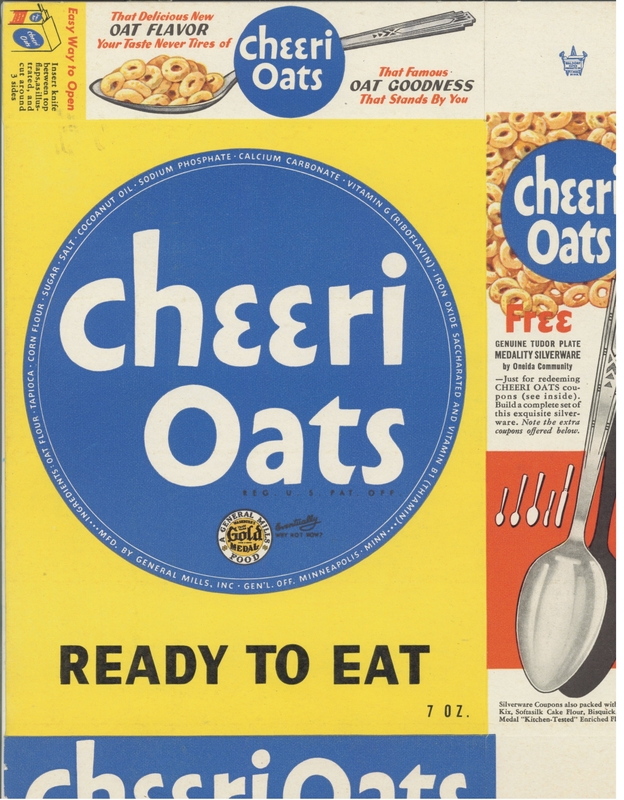 The name was changed to Cheerios in 1945 and reflects the “O” shape of the cereal, which required extensive trial and error to create the toasted puffed shape and texture. By 1951 the cereal had become the number one seller of cold cereal for the company. Since that time the brand has expanded into a dozen varieties, most notably in 1979 with the introduction of Honey Nut Cheerios and its BuzzBee mascot.